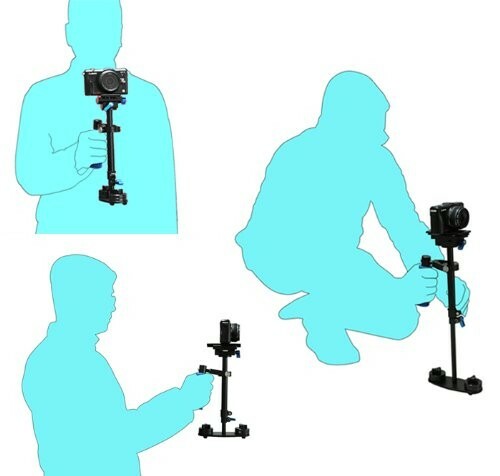 This magic stabilizer is a video stabilizing system designed to reduce shake and stabilize video on cameras and camcorders. The powerful capacity and high-flexibility allows all-round stable shooting. It can be widely used on all kinds of professional camcorders, SLR, DSLR cameras and DVs etc. * Maximum Length: Approx. 26.5"
* Minimum Length: Approx. 14"